Many people are well aware that undercooked meat is dangerous because it contains harmful bacteria such as salmonella and E. coli. To counter this, you are supposed to cook meat thoroughly, and use common sense food preparation methods such as hand washing, and avoiding cross contamination when preparing raw meat. What many people do not realize, however, is that bean sprouts can be just as dangerous as raw meat. Yes, bean sprouts. Why? Because the sprout seeds can easily become contaminated in the fields where they are grown. Bean sprouts need to be grown in a warm and moist environment. Such environments are the ideal setting for bacteria to grow, including salmonella and E. coli. Some of the sprout seeds can also become contaminated by animal manure where they are grown. In Germany, contaminated bean sprouts killed 42 people and caused about 4,000 food-born illnesses. 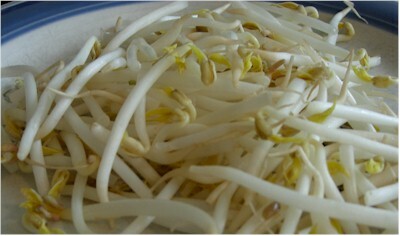 In fact, in June 2011, bean sprouts were the source of a major E. coli outbreak in that country. There have been 40 worldwide food outbreaks linked to bean sprouts since 1973. The largest outbreak was in Japan, which killed 17 people in 1996 and affected 6,000 people. Outbreaks have also occurred in the United States. In the United States, the Food and Drug Administration has done a good job promoting safe manufacturing practices. Nevertheless, if you eat raw bean sprouts, you are putting yourself at risk for developing a foodborne illness from harmful bacteria. The risk is greatest on young people, senior citizens, and people with weak immune systems. To be safe, it is best to avoid bean sprouts at restaurants because you have no way of knowing how well they were cooked, unlike meat, which you can inspect. If you want to eat bean sprouts at home, health officials suggest immersing the sprouts in boiling water and cooking them thoroughly to kill harmful bacteria. Lastly, keep in mind that bean sprouts can actually contain toxins and that to reduce risk, people should not eat large quantities of bean sprouts on a regular basis.